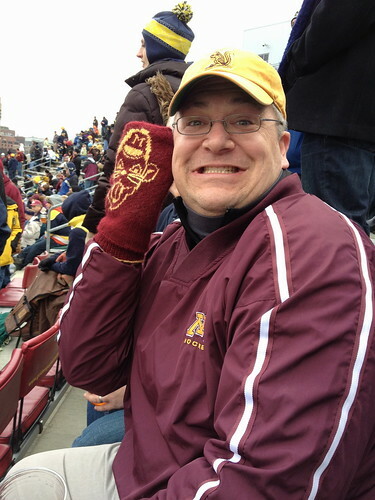 If you’ve been following the blog you know that I’ve knit two pairs of University of Michigan mittens and one pair of University of Minnesota. 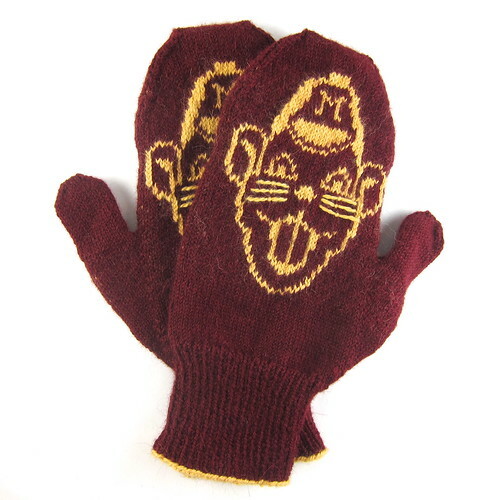 I still had one pair of Minnesota ones to make for Jenny’s husband Andy. 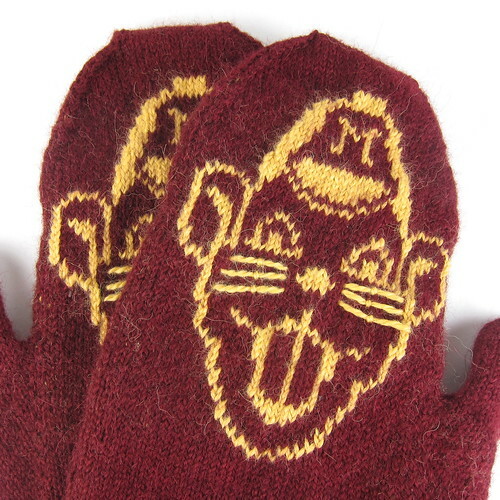 I had let everyone have some design input into their mittens and Andy’s request was that I do something with the retro Goldie Gopher. I really love how these turned out and they were a big hit at the football game. 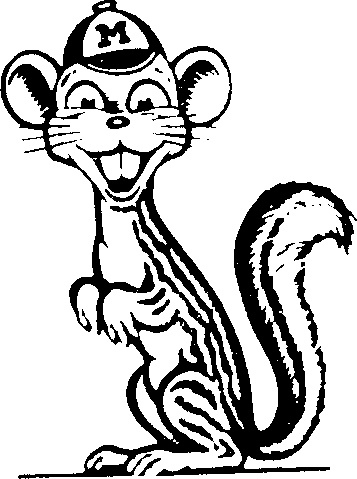 I think this might be the start of my design for next year’s state fair entry. 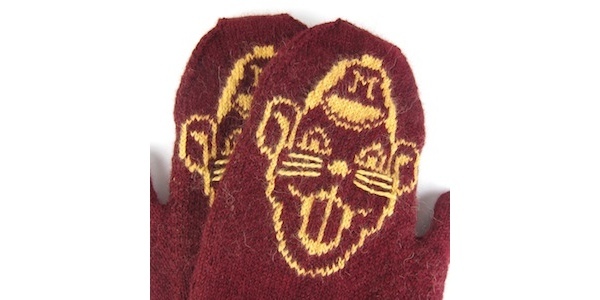 These mittens were knit for a particular person, so they are sized for a man’s hand that is 10″ wide and 8 1/2″ long. It is easy to make them longer or shorter by adding or removing rows. If you want to make then skinnier, you will need to knit in a smaller gauge as you need 40 stitches across to fit the pattern. So say you wanted to make mittens that were only 8″ around (a typical woman’s size), your gauge would need to be 10 stitches to the inch. This pattern has not been test knit, so please let me know if you find any errors. With the buttercup yarn, cast on 76 stitches Divide between three needles. Join together in the round, being careful not to twist. Place a stitch marker between the first and last stitch to mark rounds. Continue in k1, p1 until the cuff is the length you desire. Mine were about 3 1/2 inches. Seam the top together using the kitchener stitch. Seam top together using kitchener stitch. Weave in ends. If you want to add whiskers like I did stitch them on afterwards. This pattern is for personal use only. Please do not duplicate it for distribution, sell it, repost it or sell items made from it. If you want to use it to teach knitting or for a charity event please contact me for permission.